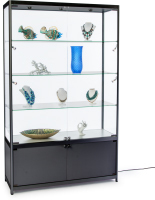 These display cabinets with side lighting are ideal for featuring a variety of items with their adjustable halogen or LED bulbs. 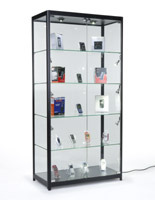 This type of showcase is often used in retail stores for promoting merchandise with professional looking illumination. 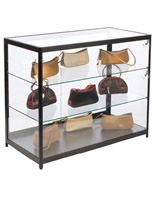 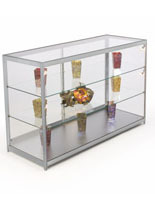 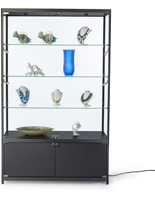 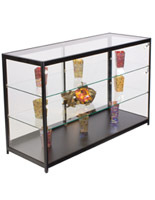 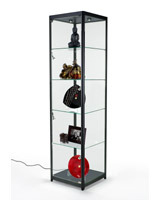 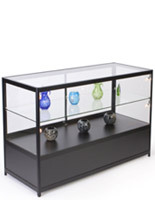 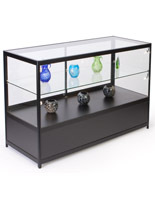 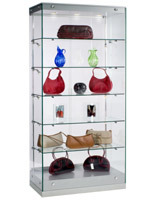 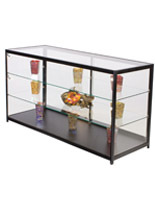 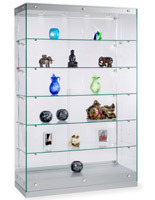 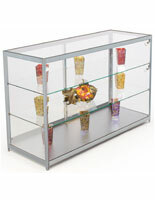 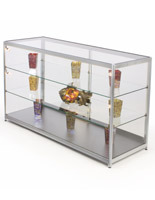 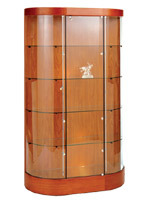 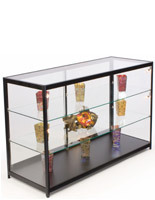 Any shop can place one of these display cabinets to feature jewelry, electronics, accessories and collectibles. 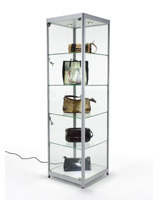 In addition, this type of illuminated showcase is a great choice for exhibiting art in galleries and museums where they can put curios in the literal spotlight. 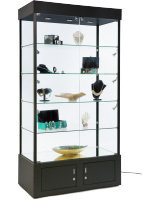 Schools and universities can use the display cabinets with side lighting to present awards, trophies and prized student projects in hallways and lobbies. 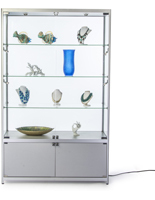 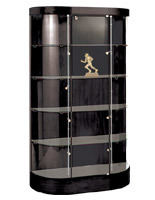 Illuminate sculptures, sports memorabilia and family heirlooms in homes with the cases’ simple design. 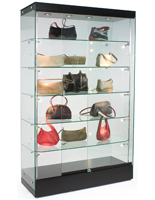 While these display cabinets with side lighting can find use in a number of industries and locations, they each have a similar fabrication. 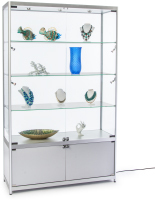 The showcases are made with tempered glass doors, shelves and panels for full visibility and are supported by either LED or halogen lights. 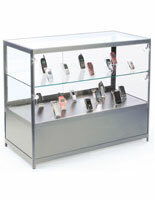 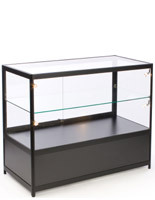 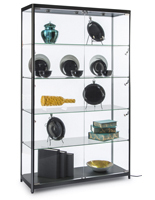 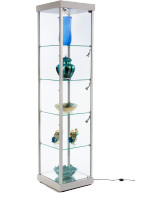 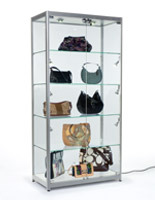 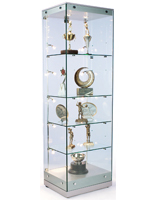 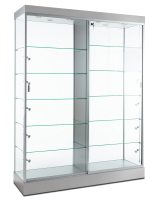 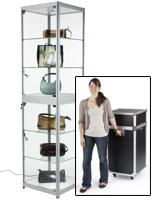 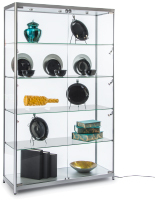 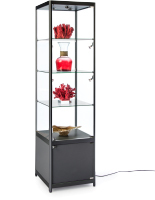 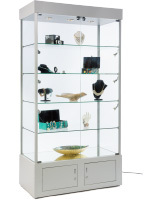 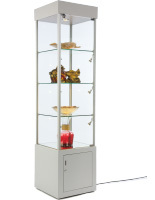 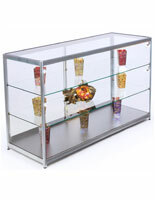 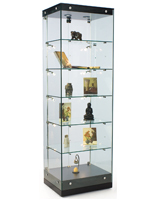 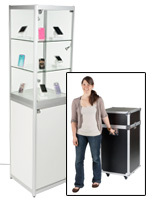 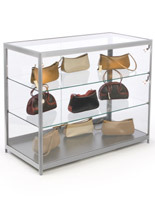 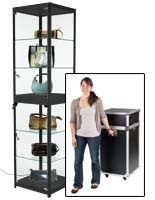 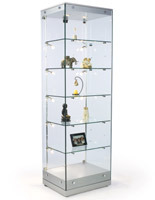 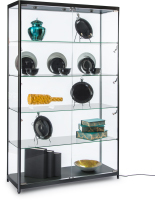 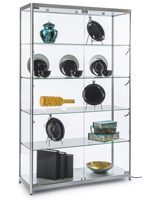 In addition, the display cabinets are available as floor stands ranging from slim to wide and tall to short. 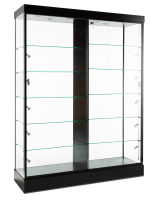 The cases are offered in a number of attractive finishes, from the neutral black and silver to the more classic wood veneers. 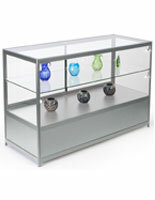 Additional features such as mirrored surfaces, locking doors and adjustable shelving are also available!